Looking for some Whitsun half-term survival ideas? Make it tantrum-free with this bumper What's On guide! Children can take part in a wide range of crafts from a free Splodge and Splot hunt to a drop-in Mini Explorers session for under 5s on Tues May 30 to creating their own Roman-inspired tile from salt dough on Wed May 31 (2-4pm) and making Potato Patterns on Fri June 2, (10.30am-12.30pm). Join the wonderful characters from the BAFTA award-winning CBeebies favourite and friends including The Ribbon Sisters, The Shallots. John, Flamingo and Umbrella as they plan a birthday party for Scarf Lady in their garden told through a blend of puppetry, storytelling and music, 2.30pm. Younger children can also watch Peppa Pig: My First Cinema Experience in the cinema on Tue May 30, Thurs June 1 & Sat Jun 3 at 11am, or Wed May 31, Fri June 2 & Sun Jun 4 at 2:30pm. There’s lots of drop in hands on arty activities over half-term from making and modelling with playdough, to junk sculpture and marbled paper. Author Melody Starkey will be reading from her book Extraordinary Shorts and leading a writing workshop for older children. Other activities aimed at older kids include felting and screen printing workshops, bookable online in advance. 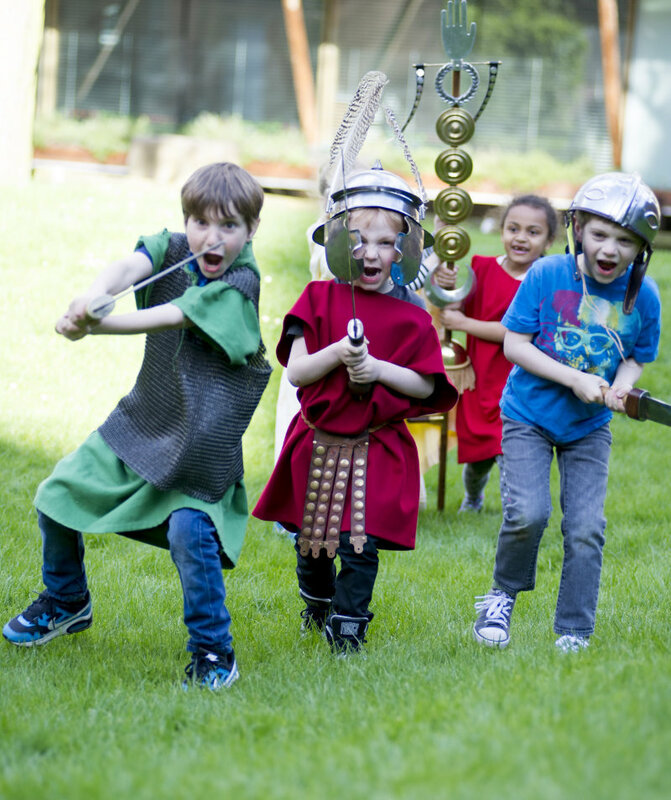 The early years exhibition, A Very Viking Voyage, launches on Sat June 3 with a full day of family fun for younger children. A thrilling new live action horseback battle with special effects in a specially-built new riverside arena – seating up to 2,000 – launched this half-term. If you’ve ever been to one of France’s best kept theme park secrets, Puy du Foy, in the Loire it’s on a par with some of the shows staged there. 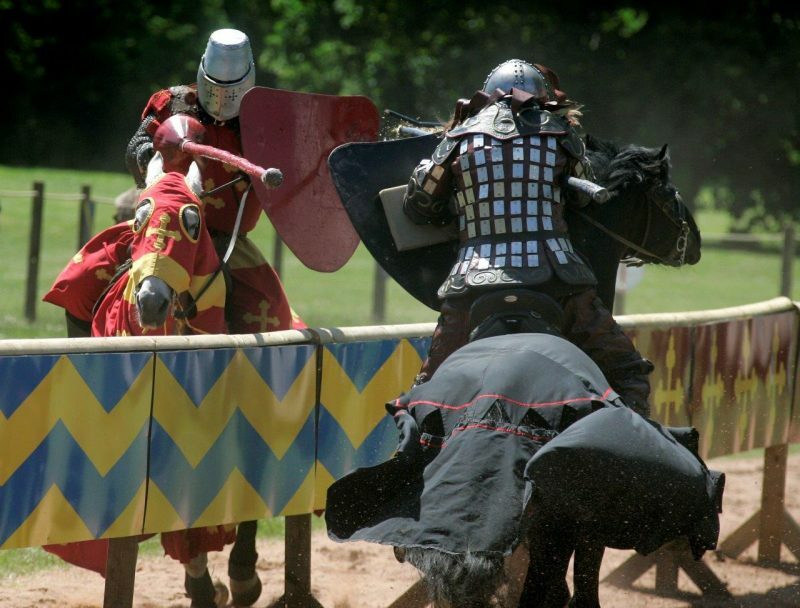 Actors and professional horse-back riders taking on the roles of key players from the War of the Roses story with direct links to Warwick Castle including Richard Neville, Earl of Warwick, known as The Kingmaker. The show will run twice daily during May half-term until June 4 and then again in the summer holidays from July 22- Sept 3. Budding courtiers can learn how to transform themselves into a courtly Lord or Lady with tips on everything from curtsies to combat. Kenilworth Castle is always a great place for a time-travelling adventure. 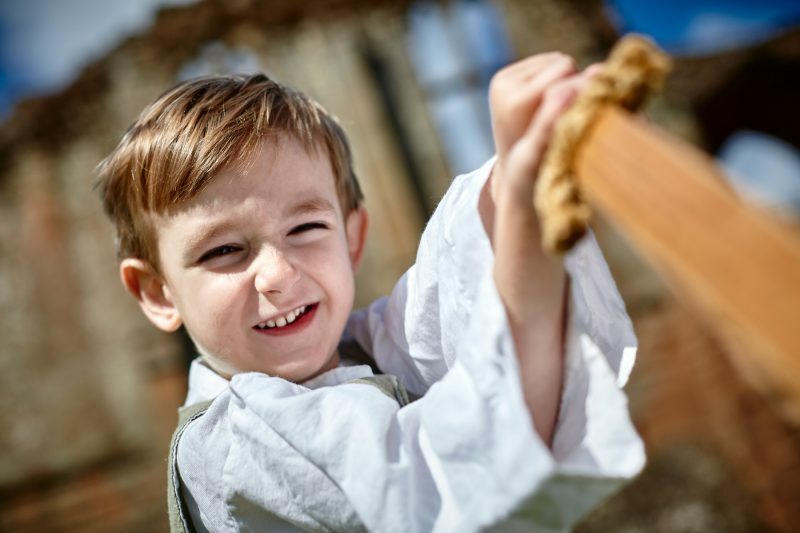 Children will love exploring the magnificent ruins and discovering over 900 years of history with their very own audio guide, interactive exhibitions, and climbing the ramparts to imagine a castle under siege, 11am-5pm. Shiver me timbers the Pirates are coming to Hatton this Whitsun half-term! 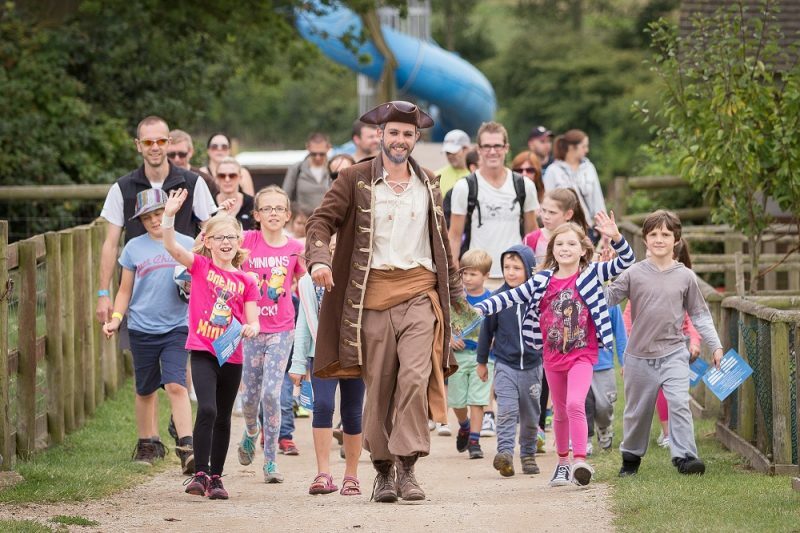 Young buccaneers, Long John Silver’s and Captain Jack Sparrow’s are invited to search for hidden treasure and enter a world of skulduggery and pesky pirate antics. Live pirate- style entertainment includes a fantastic new Pirate Show in the family theatre, Pirate Battles, finding smuggled booty in the hidden Treasure Hunt and panning for gold. Plus, all the usual activities ranging from the Guinea Pig village, snake handling, tractor safari, falconry demonstrations to outdoor laser combat (for children 8yrs+), fun fair rides and indoor soft play area – Snorty’s Superslide Mania. 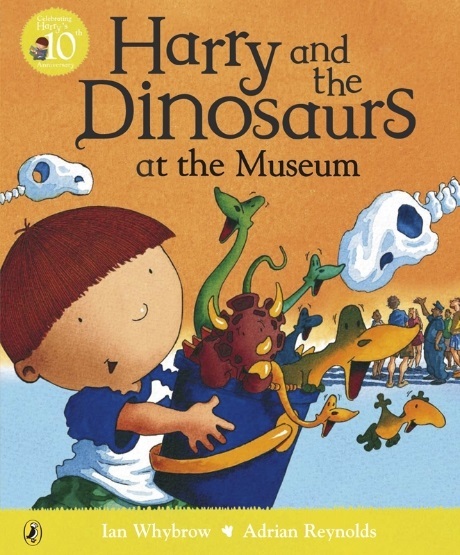 Ian Whybrow, author of popular Harry and the Dinosaurs, series will be reading from his new book at midday. The free event will also be an opportunity for young fans to get their own books signed and enjoy having their face painted or watching balloon modelling. 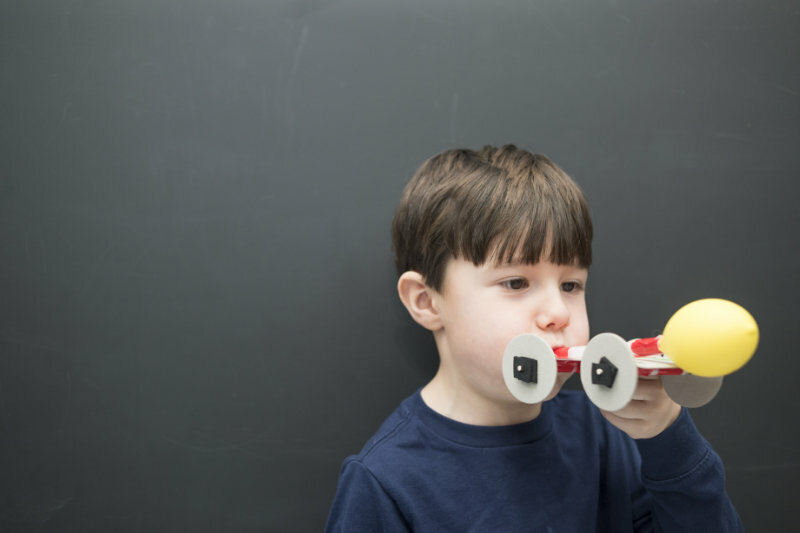 Young scientists can enjoy a week crammed with STEM activities celebrating the power of air from stomp rockets to kite making. Under 5s can enjoy a creative session creating garden mini-beasts in Tuesday’s Arty Tots session. This Thurs, primary school age children can find out all what people in the Stone Age ate, handle replica stone tools, make their own stone age necklace and have a go at creating cave art. Both sessions £2.50 per child. No need to book. Discover the Stone Age is also on at Rugby & Polesworth Library, Tue May 30; Southam Library, Thur June 1; & Bedworth & Leamington Library, Fri June 2. Watch traditional sheep shearing demonstrations, learn how to felt wool and make a felt bead at Mary Arden’s Farm. Take part in Tudor games on the lawn at Shakespeare’s Birthplace and follow the flower trail around the garden. Learn the Tudor technique of copying portraits called pouncing at Shakespeare’s New Place. 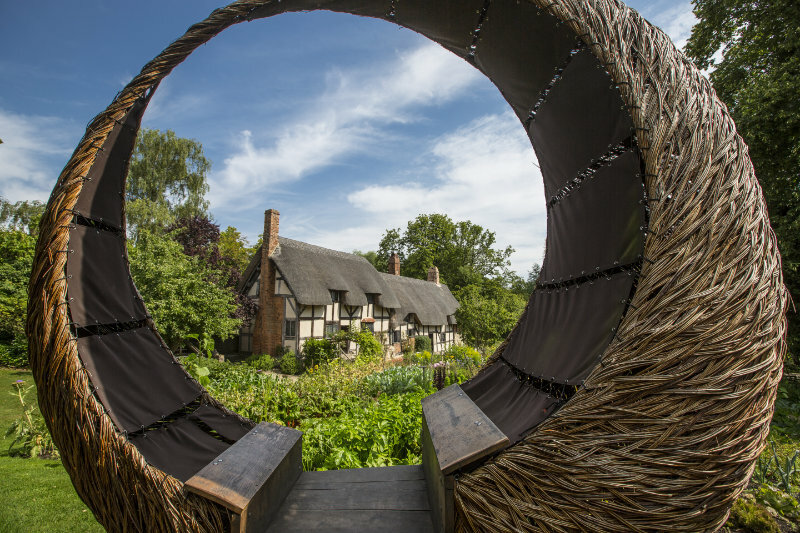 Over at Anne Hathaway’s Cottage discover how the family of Anne’s brother, Bartholomew Hathaway lived and find out how life at the cottage was so different to William’s and Anne’s family life in Stratford. Explore the grounds of Hall’s Croft and track down Croft’s conjuring creatures. 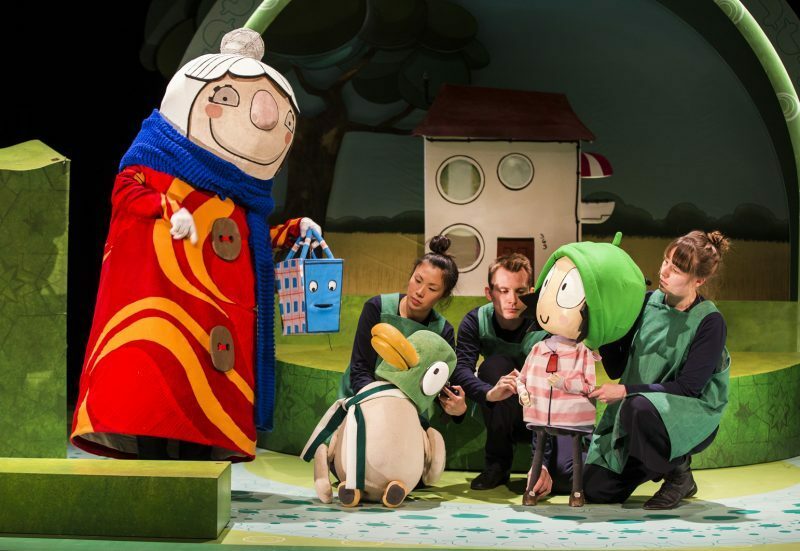 Director Sally Cookson’s hugely inventive production set to Benji Bower’s quirky musical score is a mischievous celebration of play, utilising everyday objects and materials, to capture the imagination and catapult young audiences into the world of Michael Rosen and illustrator Helen Oxenbury’s much-loved picture book. 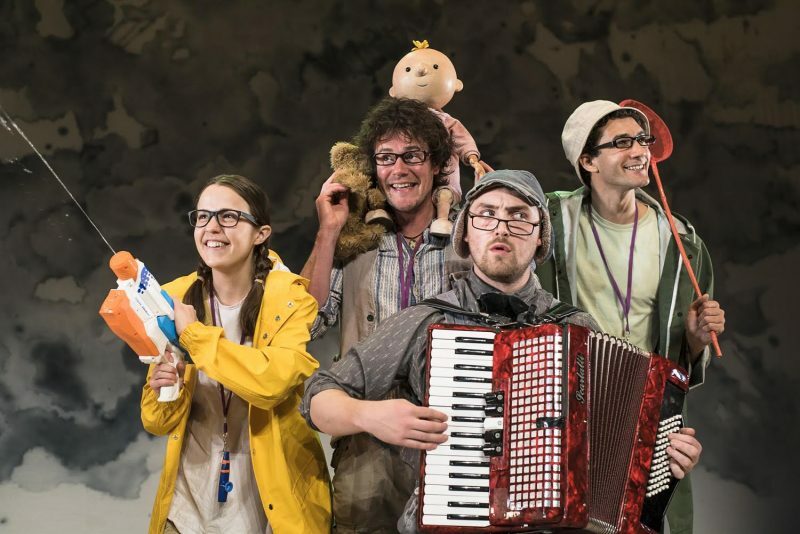 Direct from smash-hit West End and international tours, this modern family classic follows an intrepid family of adventurers and their musical dog in search of a bear. 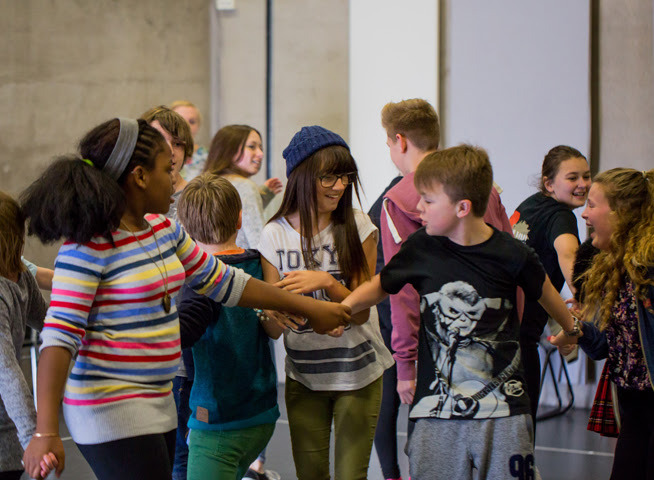 Anyone searching for a last-minute holiday camp look no further, the Belgrade runs some brilliantly creative fun holiday workshops for children. This week’s is based on the skilful art of mask theatre. 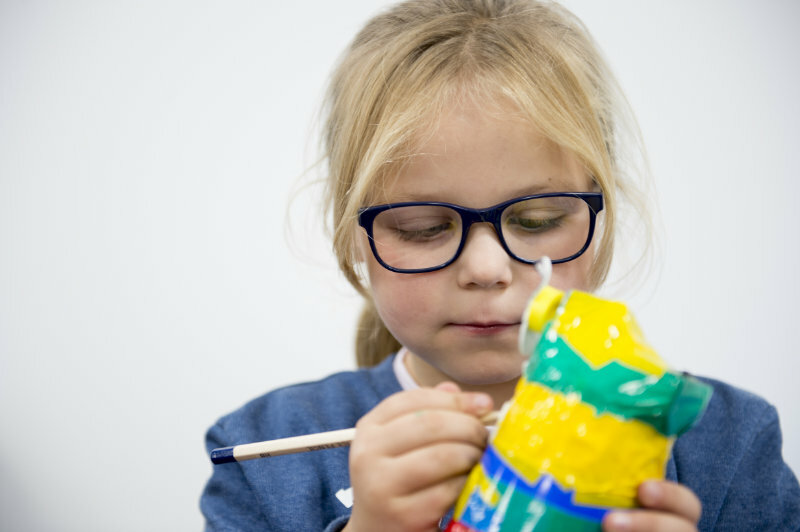 They’ll be working with theatre professionals to create their own masks and showcase them in a performance for friends and family at the end of the two days, 10am -4.30pm and £50 per person for both days, with family discounts for two or more siblings. 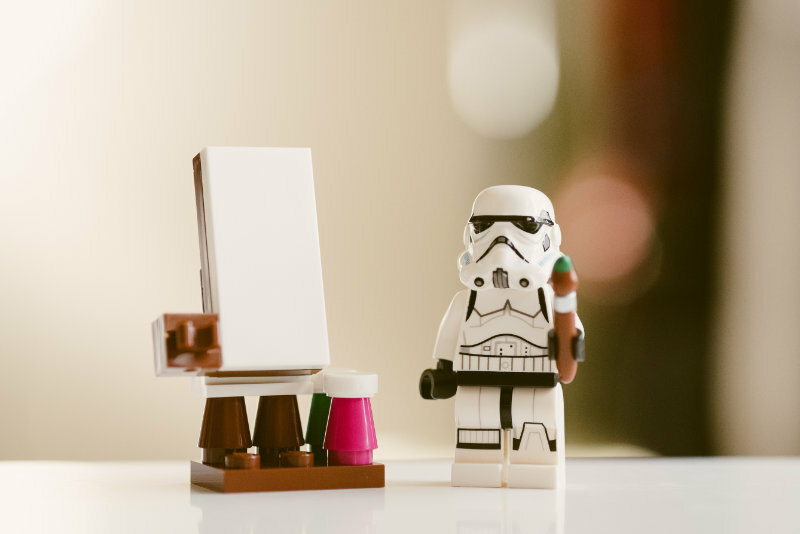 Find inspiration from the artists, artworks and objects on display and show your creative skills! All art forms are welcome from filmmakers to painters. Winners will receive a Waterstones gift voucher and have their work displayed in the Mini OPEN Exhibition in the Art Gallery. Make your own short animated film with a motoring twist. Create a storyboard and build a model car to star in your animation using Animate It! 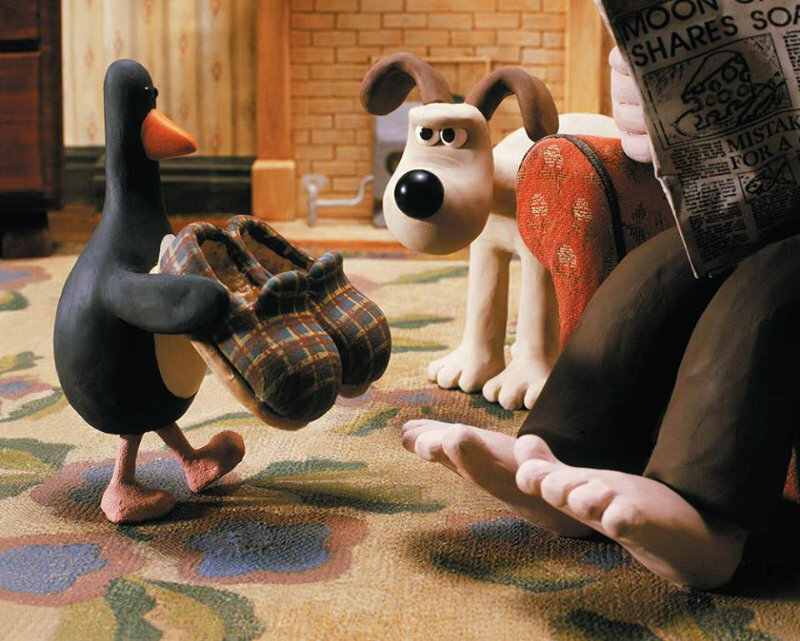 the motion animation software developed by Kudlian Software and Aardman – the world-famous Animation studio and creators of Wallace & Gromit, Shaun the Sheep and Morph. Also visit the newly opened exhibition British Motoring Treasures: the British Motor Car in Fifty Objects which runs until March 2018. 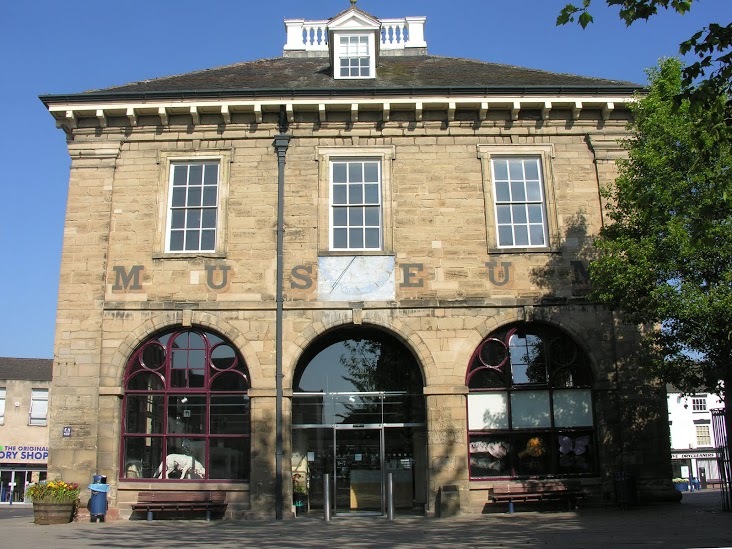 It showcases the depth and variety of the nationally-designated collections held at the Museum. 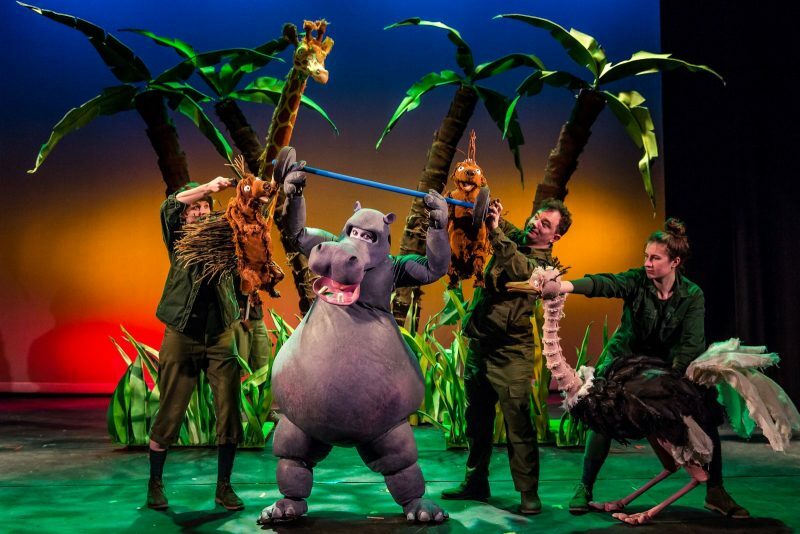 Kicking off the family theatre programme will be Les Petits Theatre’s The First Hippo on The Moon; an all singing, all dancing production of David Walliams’ celebrated children’s book with giant jungle puppets. In the Studio, Mashi Theatre will take audiences on a journey through to The Tales of Birbal – a magical show of simple story telling, punctuated with puppetry and song. Around the campus area activities include a Quidditch field, an outdoor market, a storytelling yurt, picnic areas, Robin Hood archery and space tennis. Inside there’s Space Artefacts workshops and Stargazer sessions for children to create their own moon rock or telescopes, and a room dedicated to making a planet. What’s more, the Etherington Brothers will be on hand to impart their comic book knowledge and help youngsters create their very own stories. See warwickfamilydays.co.uk for a full list of all events and activities. Billionaire Boy is the third adaptation of a David Walliams’ novel Heartbreak has undertaken having already gained success in previous years with national tours of Mr Stink and Ratburger. Join Leamington’s very own touring theatre company, Heartbreak Productions, together with Mr Spud and his son Joe, for a very specific garage sale (they used to own 500 garages) – they will be selling their final belongings to raise some money to buy food. The Formula 1 racing car has already been taken by the bailiffs, but there might be something interesting left so who knows what you might find…David Walliams’ charming best-seller is a tale love, loss and friendship. 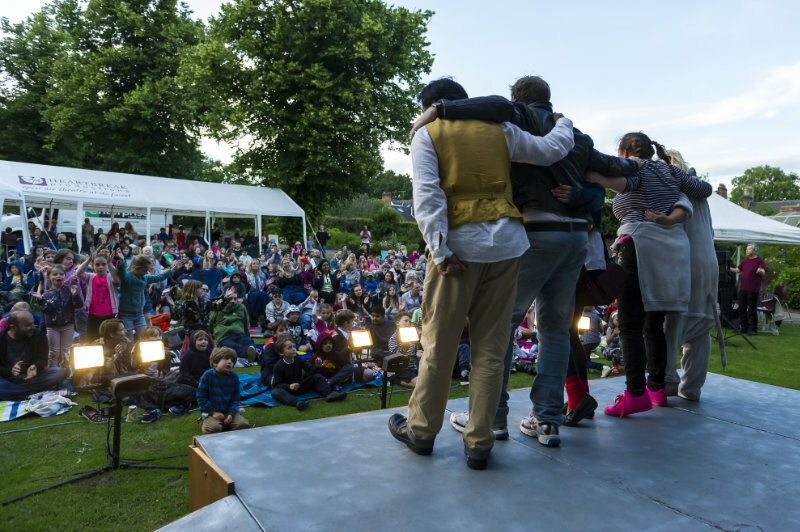 Grab your picnic for this fun outdoor adaptation for ages 7+ at 6.30pm. Get inspired by the collection of replica Roman shields and create your own. Suitable for all ages. 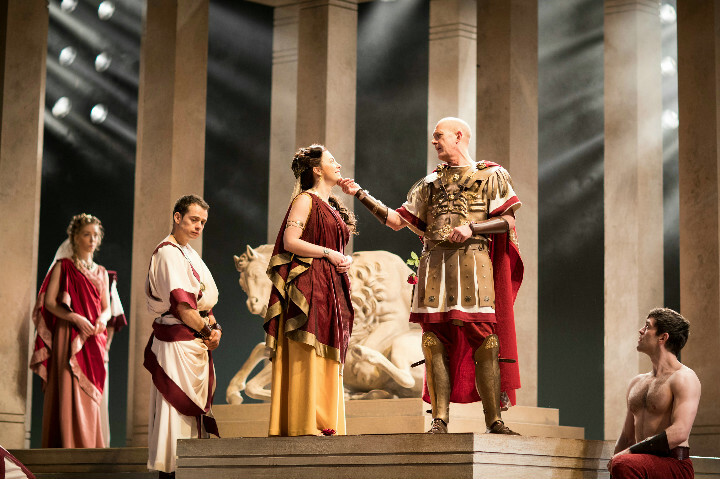 Celebrate the RSC’s current Rome season, taking a whistle stop tour of Shakespeare’s epic Roman plays and learning how to unlock language and characters; design a Shakespeare inspired Manga character at a workshop led by professional artists and enjoy free Second Saturdays as part of the RSC’s new family activities at The Other Place. Step into the life of William Shakespeare as a young schoolboy. 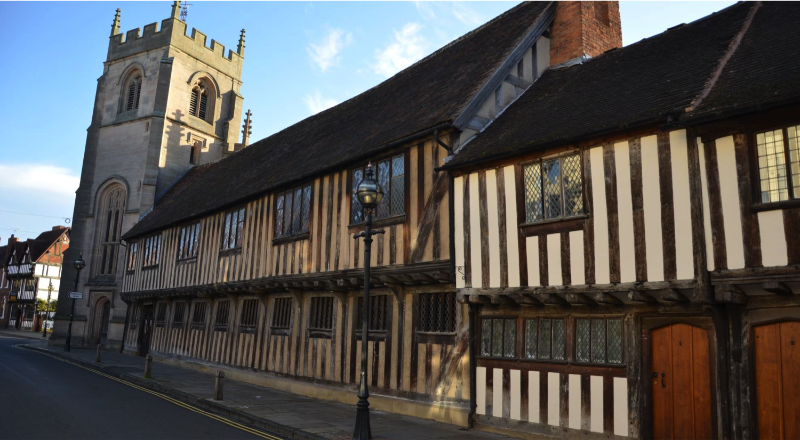 Sit in the Schoolroom he once attended and take part in a Tudor lesson with Master Thomas Jenkins. Craft a Tudor Rose taking inspiration from their appearance around the Guildhall plus there’s the opportunity to dress up in Tudor costumes and try your hand at quill writing. Younger Shakespeare fans can also enjoy 30-minute storytime sessions with Melissa Mailer-Yates the author of the Shakespuss series of picture books (Wed May 31 & Fri June 2 at 2.30pm). 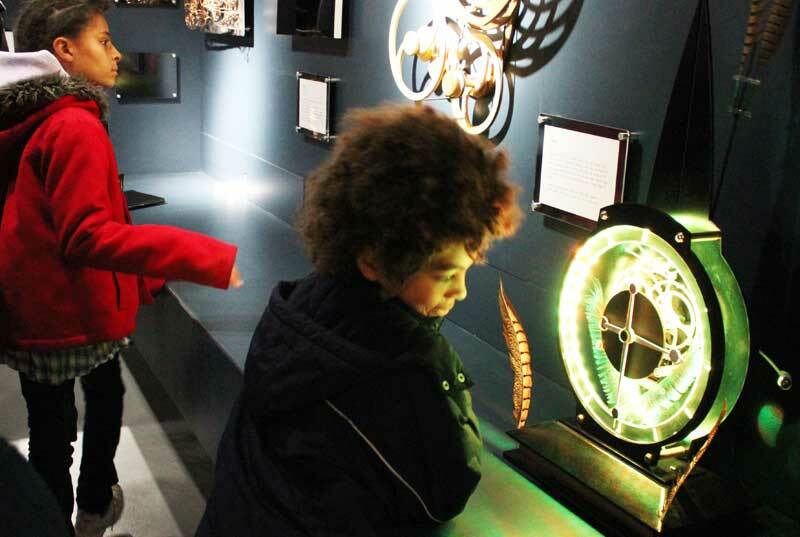 Get inspired and interactive with weird and wonderful machines that have been invented by crazy artists from all around the world. Visit the new interactive area the ‘MAD Zone’ where you will find a giant marble wall to build marble runs plus there’s a hands-on cogs wall to experiment with and a table full of building blocks to build crazy marble run routes on. Solve and unravel puzzles with the free family activity pack and enter the design competition to win prizes. 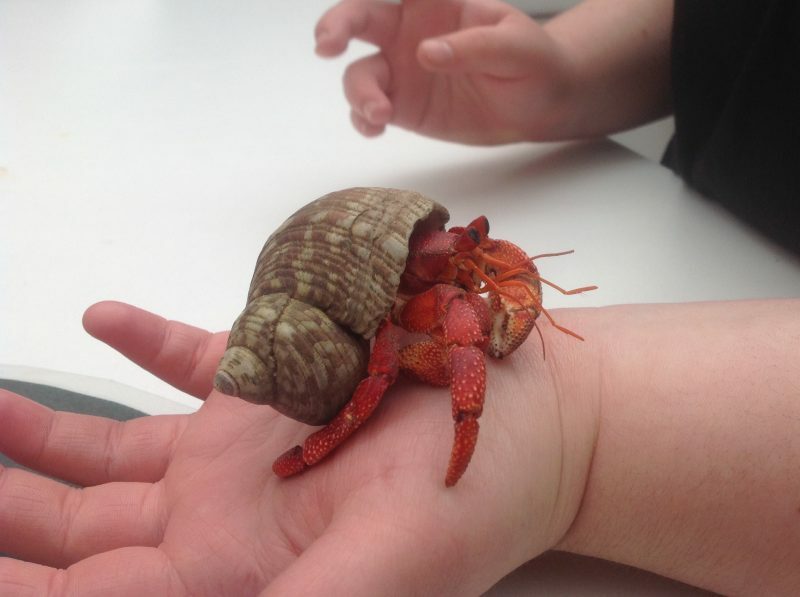 Families can get close to some amazing creatures under the supervision of the Education Team. Twice a day visitors will be able to hold Madagascan hissing cockroaches, stick insects, hermit crabs, giant land snails and African millipedes. Some of the newest inhabitants include the Malaysian leaf katydid and giant long-legged katydid, a rare bush cricket. Also, see the refurbished wildlife hotels in the wildflower garden for bees, insects and hedgehogs, 10am–6pm. Two local zoos are taking part in Love Your Zoo Week run by the British & Irish Association of Zoos & Aquariums (BIAZA). Drayton Manor Park zoo has a full timetable of themed activities including live animal talks and feeds, bug meets and slink shot feeds in the Spider Monkey enclosure. 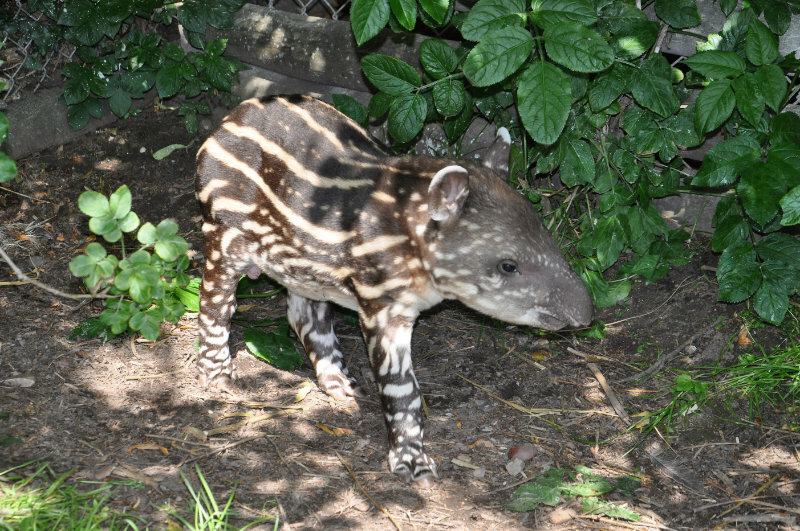 Families can also meet the newest resident, a 2-week-old baby Tapir, Obie. Over at Twycross Zoo in Atherstone, there’s 4 new babies, including the critically endangered black-headed spider monkey, as well as the Zoo Club for 8-14-year-olds (Tues May 3—Fri June 2). The popular Conservation Club for 8-12-year-olds starts on June 10, every Saturday, until July 15.